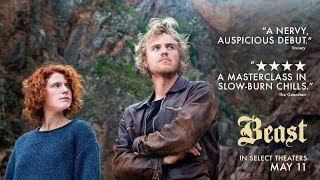 Life in a small town isn’t easy for Moll (Jessie Buckley), the black sheep of a respectable family that has decided to homeschool her in the wake of a violent incident in her past. But when Moll meets Pascal (Johnny Flynn), a mysterious hunter living off the grid, the two make an instant connection, giving Moll a sense of freedom and desire she has never known before. But when a series of murders shakes the small community they call home, Moll must figure out whom she can trust, before it is too late.